I really enjoyed Dublin! It is not a large city so it was easy to walk everywhere we wanted to go. We were close to the Trinity College so we got to walk around on the campus a couple of times. We saw the Book Of Kells which is absolutely stunning. Everything I thought they would be. We couldn't take pictures of the books but we got to take pictures in the large library just above the museum. We found some great places to eat. Had traditional Irish food and lots of Guinness! We went on the self guided tour at the Guinness Storehouse. It was a interactive tour that had some really great graphic moments. They used a lot of projection techniques. 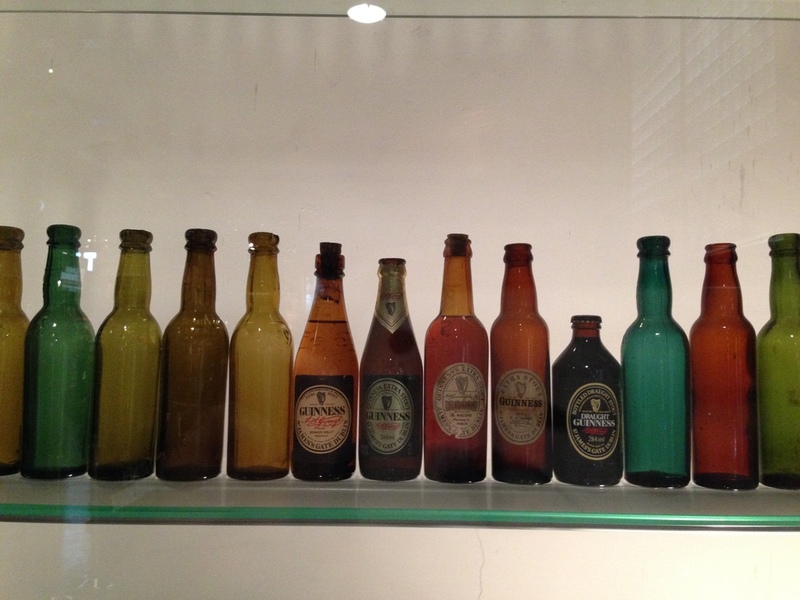 (wish it would photograph better) We learned about the history of the brand as we walked through the brewing process. At the end of the 5 storied building (that is shaped like a pint glass) you get an amazing 360º view of Dublin and a cold pint of Guinness. Luckily enough we also got to experience some Irish culture and got to see a live show at a pub. Walking about the city on any given night you can find something to do or somewhere to go... Dublin reminded me of Kansas City. A diverse city but not overwhelming. Full of music, great people, and well, a lot of beer!